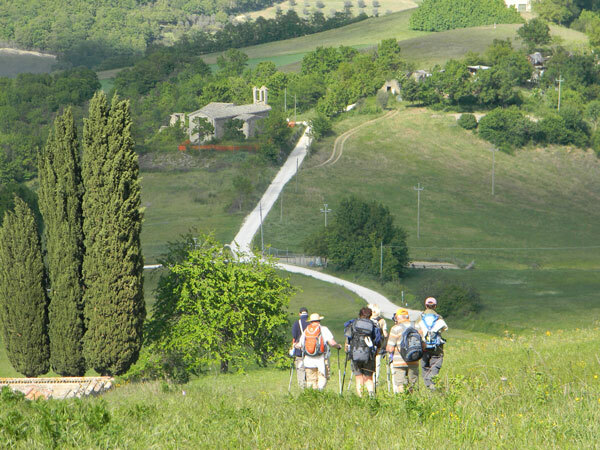 The Cammino di Francesco or St Francis Way (or Via Francigena di San Francesco) finishes at the Vatican and has been followed by many pilgrims inspired by the life St Francis of Assisi. St Francis of Assisi is a spiritual guide for nature lovers and ecologists; known for his philosophy and love for nature. The St Francis Way is, in a way, a combination of many shorter pilgrimages to some of the Franciscan sanctuaries along the route. 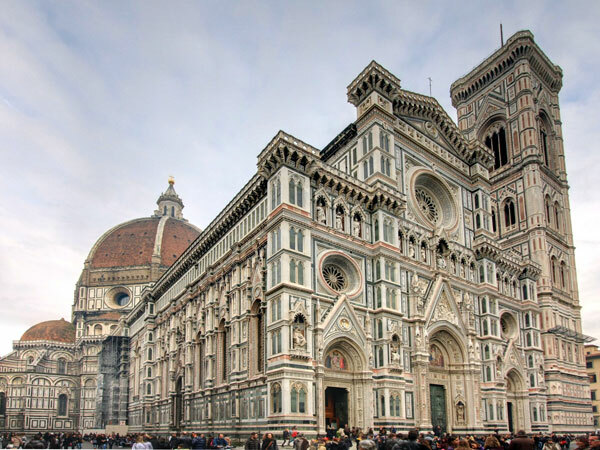 Florence: UNESCO-listed for its magnificent artistic and architectural heritage, Florence is not only a must-visit in Tuscany but also home to the world’s largest Franciscan church: the Basilica di Santa Croce. The temple marks the starting point of the St Francis Way. 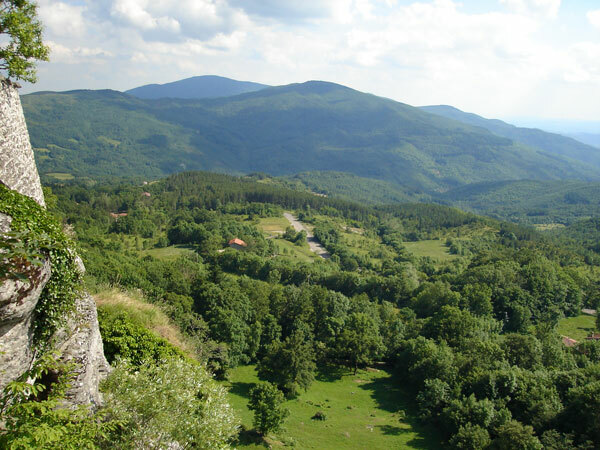 La Verna Sanctuary: is located in a peaceful mountain location surrounded by breathtaking natural beauty. It is here where St Francis and his followers meditated and where St Francis experienced the stigmata. Assisi: is the home town, as well as the burial place, of Saint Francis and the most important Franciscan pilgrimage destination. A UNESCO-listed city-sanctuary, Assisi is unique for its rich spiritual heritage, as well as its medieval art and architecture. Assisi is the spiritual centre of the St Francis Way. It was in the Rieti Valley, also known as the Sacred Valley, where many important episodes in the life of St Francis took place. It was in the Rieti Valley where he founded the Franciscan order for instance. 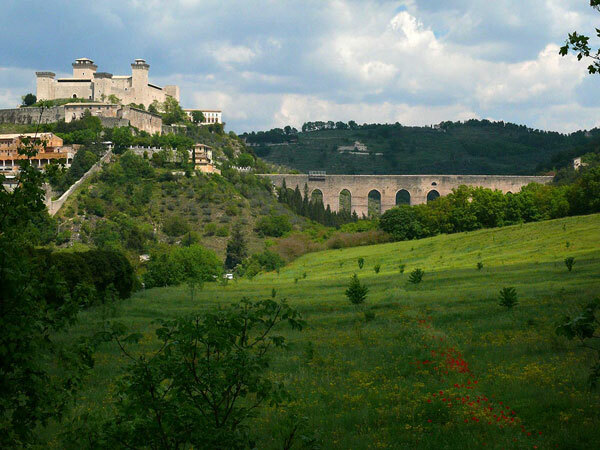 On this section of the St Francis Way you will encounter and have the chance to visit many chapels and places of interest related to the life of St Francis such as the Sanctuary of Poggio Bustone, the oldest Franciscan settlement outside Assisi. 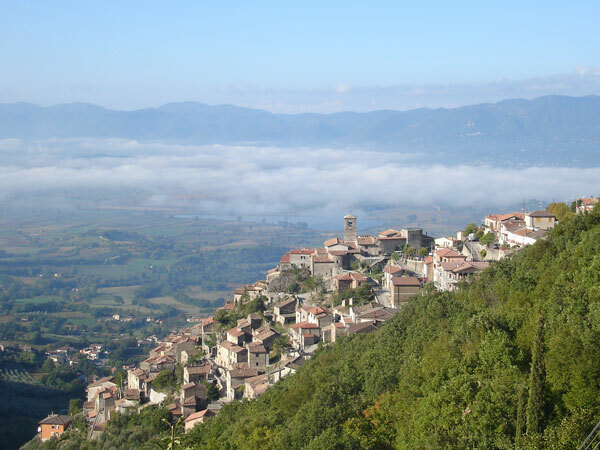 Crossing natural parks, mountain passes and valleys on the Apennine Mountains and stunning medieval hill-top towns and villages; the spectacular nature, landscapes and heritage of the St Francis Way make this route to Rome unforgettable. 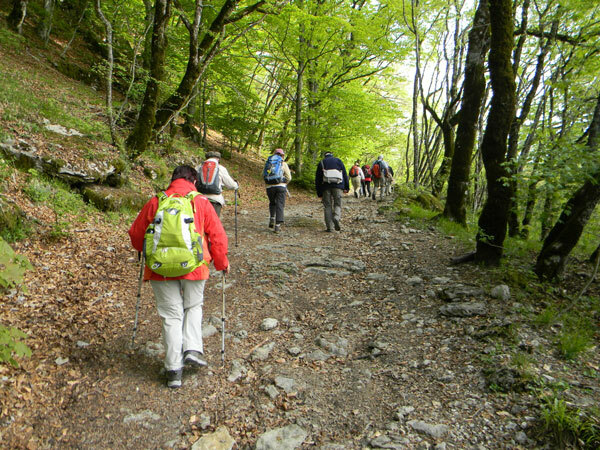 However, due to its mountainous terrain, we recommend the St Francis Way only to experienced walkers. Talk to our travel specialists if you need advice about this particular route. The markings for the St Francis Way will vary: on the first section from Florence to Sansepolcro you will mainly follow red and white long distance markings. From Sansepolcro, you will be able to follow the blue and yellow St Francis Way signposts. A pilgrim passport stamped along the way will allow you to get your St Francis Way certificate in Rieti and your ‘Assisiana’ in Assisi; in addition to your Testimonium if you finish in Rome. Read more articles about the St Francis Way, the Camino di Francesco, on the CaminoWays.com blog.